This weekend I decided to begin the task of clearing out some of the junk that has collected in the loft space over the last 20 years, since I need to renew the insulation and tidy up the antenna farm. It isn’t the first clean out, the last major clear out was back in 2008. 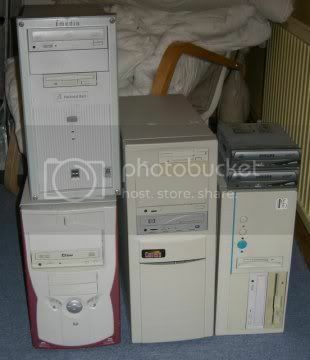 There were still a few old PCs, the first was a Windows 98 machine with a 5.25″ floppy, 3.5″ floppy and an ancient tape drive. Amazingly despite not being powered up for nearly six years the clock was still reasonably accurate and it booted with no problem and even connected to the internet. Not that anything was browsable using IE4. 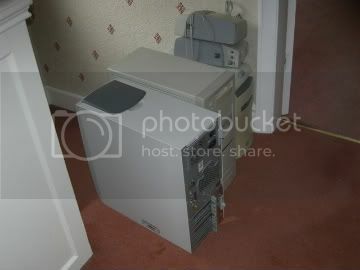 Another one had Windows ME *shudder* which did boot and again had a clock that was more or less right despite it not being powered up and booted since 2004! I wasn’t sure why I still had this PC and once it had booted I realised why.. this turned out to be the PC I used for my shorted lived PMR446 eQSO Internet Gateway UK-139L See this earlier blog post for more details. What is of major concern is why I have subsequently spent most of the afternoon trying to troubleshoot why the ISA Creative Sound Blaster card appears to no longer work.. returning a Code 10 error.. memories! Perhaps I should follow the on screen advice! I finally got around yesterday to throwing out some old junk which has been cluttering up the loft and spare room. A number of old computers and a load of old monitors collected over the past few decades. 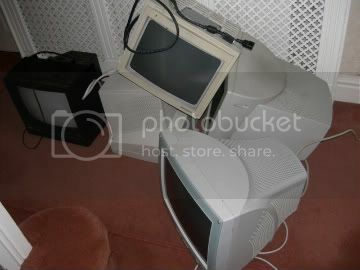 One of the monitors, an ancient VGA monitor, was manufactured back in 1984! Took them off to the recycling centre (used to be called the tip) only to be confronted by a worker who suspected me of preforming an unauthorised office clean-out! “Where did that lot come from?” “out my loft!” was my honest reply. I know I could have sold them at a car-boot or even offered them on freecycle, but it quite frankly not worth the effort given that they are so out of date and absolutely worthless. I stripped out the RAM, Network cards and any half decent video cards – found a decent PCI one which might be useful for a potential project. 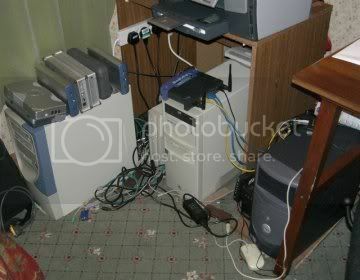 Having a bit of a spring clean at the moment and have been up the loft and have surprised myself at the number of computers I have acquired over the years. Ranging from a humble 486 clone to a Pentium4, with various operating systems Windows 98, Windows 2000, Windows XP, Fedora 3, Fedora 8 and Debian 3. Also shocking was the number of external hard drives I’ve got! There is a Dragon32, Tatung Einstein another PC, an old Panasonic CF25 toughbook and even older Texas Instruments Extensa 510 laptop (with 8MB of RAM!) in the loft along with loads of peripherals including numerous scanners, modems and monitors.